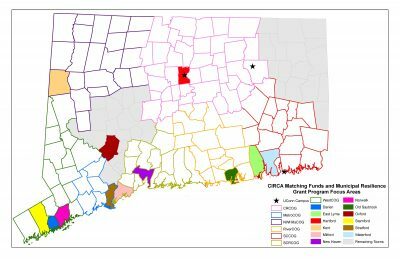 The Connecticut Institute for Resilience and Climate Adaptation (CIRCA) is pleased to announce the results of the past round of grants under its Municipal Resilience Grant Program. The municipalities and councils of governments listed below have been awarded funds to pursue projects that will not only increase their own local resilience, but also serve as learning tools for other communities hoping to replicate their success. CIRCA is pleased to provide grants to support the projects. Does the proposed project enhance community resilience to the impacts of climate change and extreme weather? Does the proposed project have transferable results? Does the proposed project involve collaboration with CIRCA? Does the proposed project have measurable goals? Will the proposed project be completed in an 18-month timescale? Does the proposed project have multiple funding sources? Does the proposed project emphasize implementation? Based on the above criteria, funding has been awarded to the following projects under four different rounds of funding. Click on the green links to learn more.